“Why would I need a Mini or a BMW for car share?” I wondered when I first saw DriveNow cars on the streets of Berlin when moving here 15 months ago. A bit of searching online led me to discover that DriveNow (like its competitor Car2Go) is a car share scheme with no fixed stations, and that it’s a joint venture between BMW and Sixt. Car2Go is run Daimler and uses Smart cars instead. Cambio (I’d been a member in Belgium, and am now a member in Germany) and Zipcar (I’m a member in London) are systems where you pick up and return the car to the same spot. DriveNow and Car2Go allow you to pick up and drop off cars anywhere, allowing one-way trips to be made. Each car’s location is tracked by GPS, with a data connection. I’ve never owned a car, but I have had a driving license for 15 years – being able to drive is something that’s useful to me, but that I do not do on an everyday, or even every-month, basis. I’d even been in Berlin almost 12 months before getting around to registering with DriveNow, and then I only did it as I’d been given a discount code to avoid the standard €29 one-off signing-on fee (that’s the only reason I went for them rather than Car2Go!) Signup is easy – fill in a form, and go along to one of a dozen or so offices across Berlin with your driving license, credit card, and passport, and to collect your DriveNow card. Then comes the interesting bit – booking a car. Find a car in the DriveNow App, reserve it for free for 15 minutes, go and find it, and use the DriveNow card to open the doors. Type your PIN code into the on-board computer, and press the start button for the engine and away you go. Drive to your destination and park. Log out of the onboard computer, and lock the doors with the DriveNow card. Charge gets billed to your credit card. And that’s it. No messing, no hassle, and no keys to mess with or locate – everything is handled by the on-board computer on the BMW or Mini. To give an example of where it really works. I was at a dinner with three friends. One could walk home, but the second had a heavy bag and the third was staying at a hotel with poor public transport connections. And the U7 U-Bahn line was out of action. So we walked 250m to a DriveNow car (a Mini Countryman – ugly thing, but hell, it works), drove through Mitte and on to Kreuzberg, with an interim stop, and the cost was €7 – or about half the price a taxi would have been for the same trip. Yes, Cambio and Zipcar are cheaper, but they only really work if you are happy to go to and from the same place. 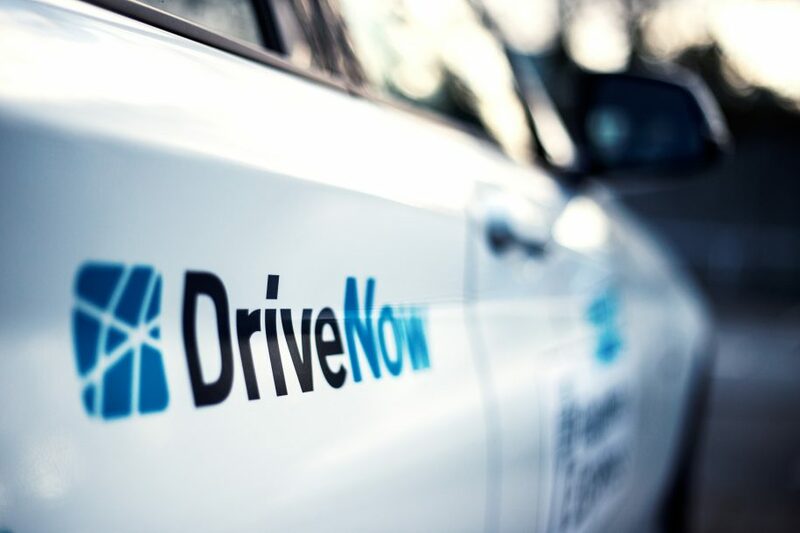 If you want a car, now, anywhere in Berlin (or, for that matter, Hamburg, München, Köln, Düsseldorf, Wien or London (Islington, Hackney, Haringey)) then DriveNow can offer that, and you drive it yourself. And all possible thanks to GPS, mobile apps, and a smart card to open the doors. It’s actually genuinely impressive. In the Flanders region they even have more, including different electric cars, Smart cabrio and even a cargo bike in Gent! @Brusselsblogger – there are Minis, Mini Countryman (Countrymen? ), Mini Clubman (Clubmen?) and BMW 1-Series and BMW X1 vehicles. You can carry quite a lot in a Countryman – it’s a hefty vehicle! Having said that in Berlin anyway Cambio has a range of different vehicles – Fiestas, Focus estate cars, even some vans. Do they not have the same in Brussels? Do they offer different size of cars? One thing with Cambio always strikes me: they have only these small cars – but especially in a case where you exceptionally need a car – for example to transport heavier goods – it would be great if they’d have also larger cars available. @Aki / @Renaat – thanks! @Mark – it’s not that I have not driven in 15 years! I hire cars and vans relatively regularly. I am also fully aware of the road rules as I cycle all the time. Plus there are plenty of people who do drive every day – white van drivers for example – who seem to get worse and worse the more they do it! I’d never ride a car with someone who got a licence 15 years ago but never owned a car. How scary!